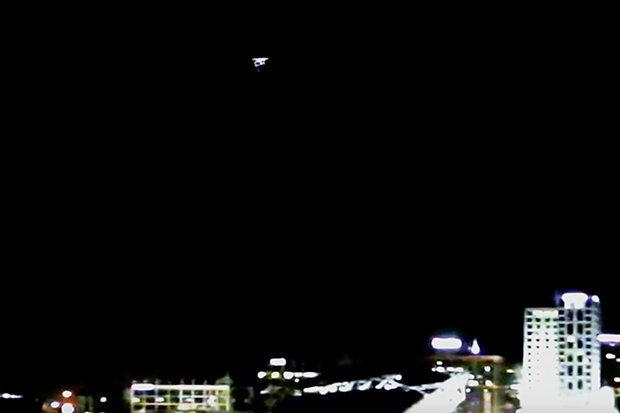 UFO SIGHTINGS DAILY: UFO Tracked By Military Choppers Over Cincinnati July 1, 2016, Video, UFO Sighting News. 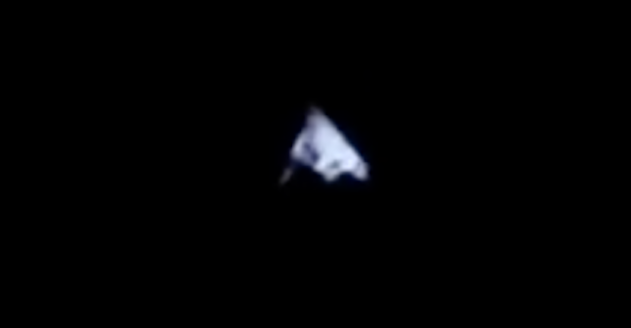 UFO Tracked By Military Choppers Over Cincinnati July 1, 2016, Video, UFO Sighting News. A large grey metallic UFO was seen over Cincinnati this week. Its is rotating very slowly, about one rotation per 25 seconds. That is why it seems to change its shape. 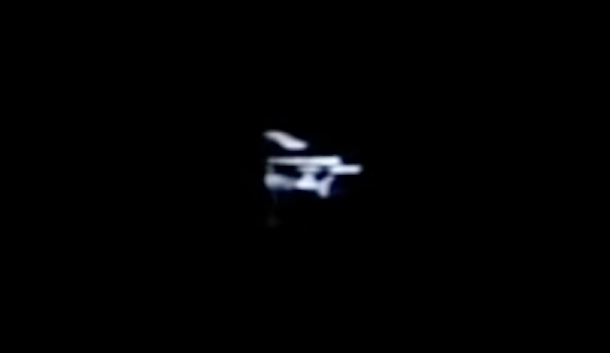 If you live in Cincinnati and have seen this object, please tell us about what you saw in the comments below, thanks.